Beautiful maternity portraits can include your whole family. This photo captures a precious time between dad, big sister, and mom. I love her whimsical white gown that shows off her belly perfectly. This couple decided to choose a natural setting for their second maternity session. 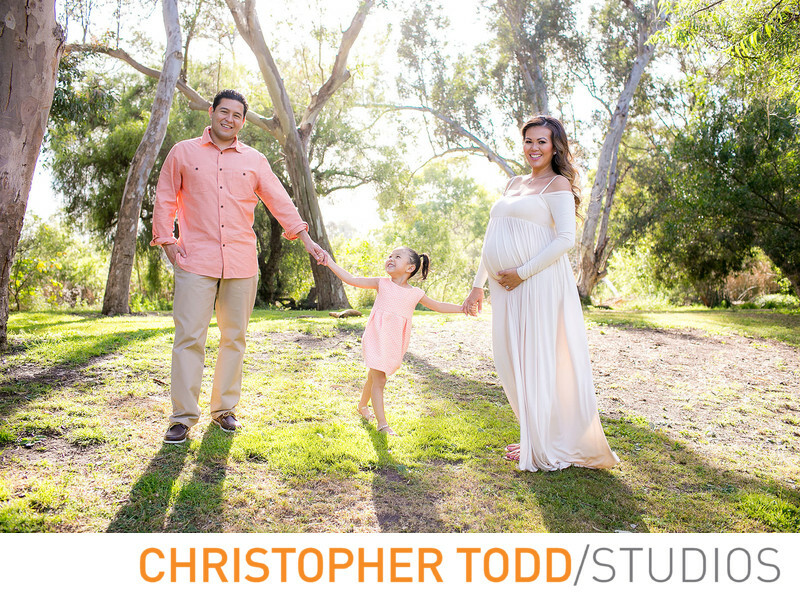 Central Park in Huntington Beach is great for family portraits and maternity photos. Located just off the 405 freeway in Orange County. An alternative to having your photos taken at a park is coming into our professional studio in Orange County. Get in touch by email or give us a call 949-771-9600. We would love to be your photographer. 1/500; f/3.5; ISO 250; 35.0 mm.